Dr. Jason Hsiao was born in St. Louis , Mo. He grew-up in Silicon Valley. He attended University of Pacific in Stockton California, where he completed a B.S degree in Biology. He then received his D.D.S degree from the University of the Pacific: Arthur A. Dugoni School of Dentistry, San Francisco in 2005. He enjoys doing family and cosmetic dentistry, and has many years of experience working with CEREC CAD/CAM Technology. With dentistry changing everyday, Dr. Hsiao likes to attend the most up-to-date courses featuring newer technology. 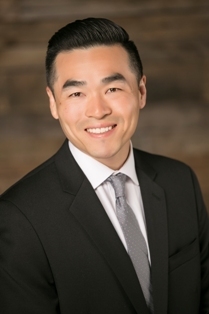 Dr. Jason Hsiao loves to help families and children. He volunteers with Livermore Community Dental Care, a non-profit organization providing dental care and education to Livermore school children. When he has time-off, he enjoys spending time with his wife Stefanie, and his sons Preston and Carson. His hobbies include baseball, camping, fishing, archery, snowboarding, martial arts, and motorcycle racing.